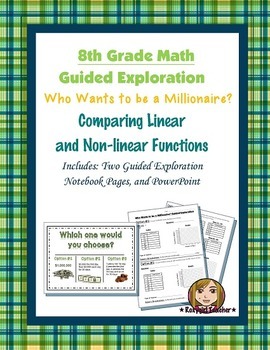 This is an 8th Grade Common Core Math lesson on the concept of Linear and Non-linear Functions. 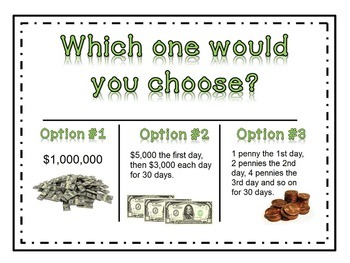 Students decide between three different forms of payment to become a millionaire in this comparing functions guided lesson. 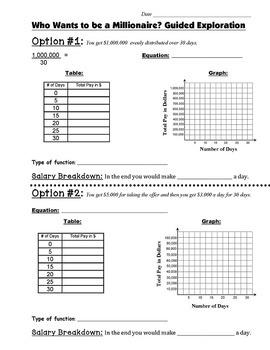 A guided PowerPoint lesson introduction setting up the scenario. 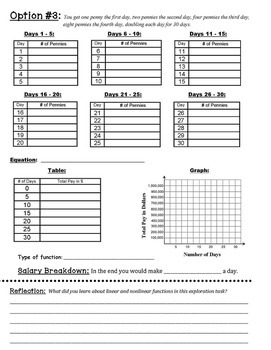 Two guided exploration notebook pages that include tables, graphs and equations of three different types of functions.